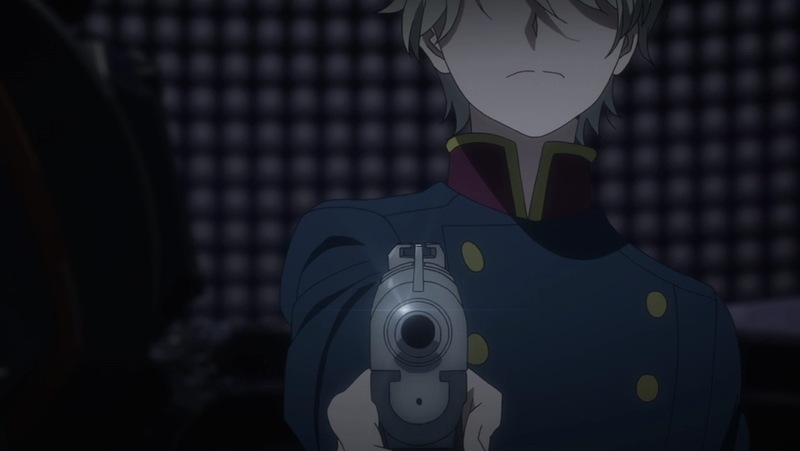 Why did Slaine shoot Inaho? A: It wasn’t really depicted in the first cour, but if you watch the second cour, you’ll realise that it wasn’t jealousy, but something else. Where Slaine departs to in episode 12, where he is heading when he walks off, is a hint. 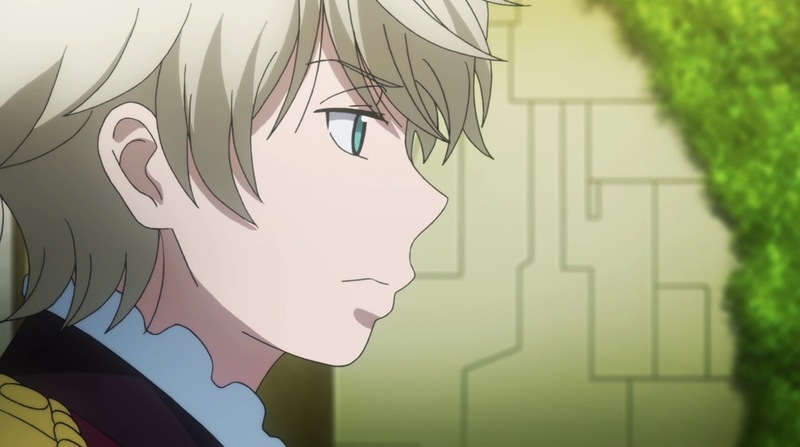 Shipping stuff aside, I think there’s a good case for Slaine being motivated by jealousy when he stopped Inaho. I think initially he really did think the other was just using the princess but once he saw him crawling towards Seylum he realized it was more than that. This guy was fulfilling the role he always wanted for himself. To be the princess’ knight. And more importantly had succeeded until Slaine’s misguided actions. I think the dissonance between what Slaine wanted to be and what he actually ended up being was the straw that broke the camel’s back. So he lashed out. But after reading what Aoki had said, I realised that something wasn’t quite right with the ‘jealousy’ theory outlined above, namely “He lashed out.” If you watch the scene again carefully, whilst Slaine shot at Saazbuam haphazardly, as you might expect someone lashing out to do, he was in full control of himself when he turned his gun on Inaho. In other words, Slaine had decided what he needed to do at that point, and took his course of action based on that. Now that Slaine has revealed his objective in episode 21, it finally all makes sense to me. Your Highness, do you know why wars break out? They…are a means of negotiation between states. No. Wars break out because there is someone to fight against. To eliminate war, there are two options: invade and assimilate, or utterly exterminate your adversary so that only you remain. 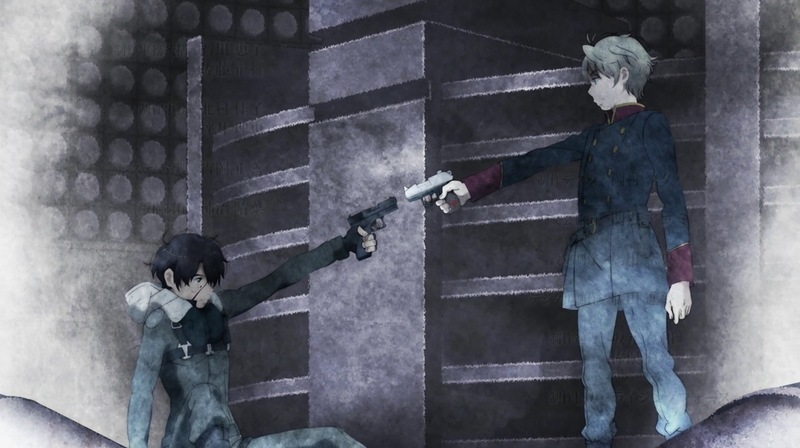 Following on from this, the reason that Slaine shot Inaho was simply that he was an adversary who would have refused to be assimilated; what he said to Inaho was probably just to provide a pretext to shoot him. Some would argue that Slaine could have joined the Earth side. However, he’d probably calculated that the Aldnoah power would give him the best chance of achieving his objective of creating a lasting peace, especially since he was in a position where he could bargain with Saazbaum. He probably also believed that his best chance of saving Asseylum lay with the medical facilities of Vers rather than those on Earth. Hence, the Faustian bargain with Saazbaum. 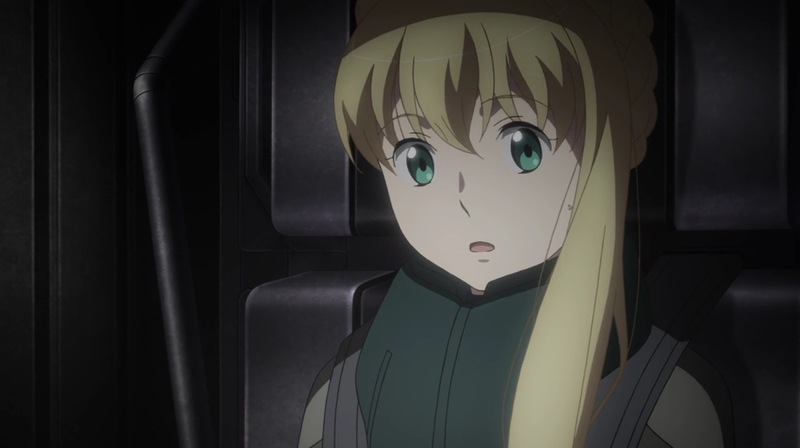 Slaine might be in love with Asseylum—I’m ambivalent on this issue, personally—but whether he is or not doesn’t matter: what has driven the choices he’s made since episode 12 are largely his beliefs about the causes of war. Seylum, what do you think it takes to end a war? No. Warfare is nothing but a means of negotiation between states. Wars break out even when there is no hatred. Territory, resources or interests that you are determined to own. Ideology, religion, or pride. Wars are fought over those objectives all the time. Meaning that when those objectives are met, the war will end. That…or when the human cost outweighs the gains. Or to summarise: violent emotion/chance/rational calculation. Come to think of it, isn’t this actually represented in the show? 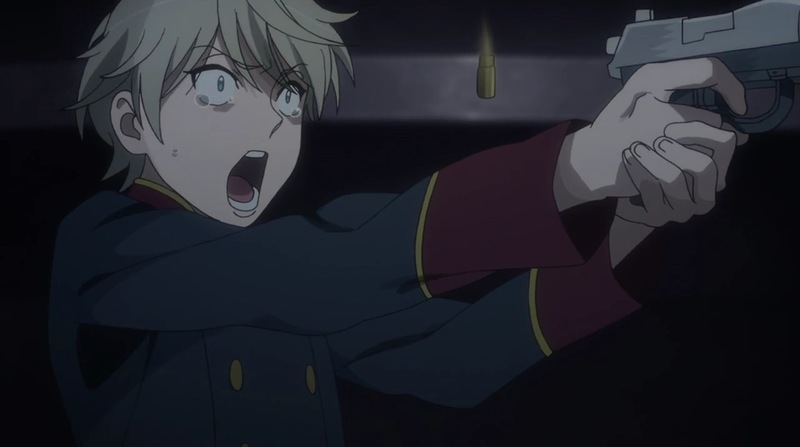 Rational calculation is obviously Inaho; violent emotion is the cause for conflict given by Asseylum (it could also be allocated to Slaine for the impetus behind some of his actions in the first cour, but since that’s changed now, I think this fits better); and chance is what has plagued Slaine over the entire war. 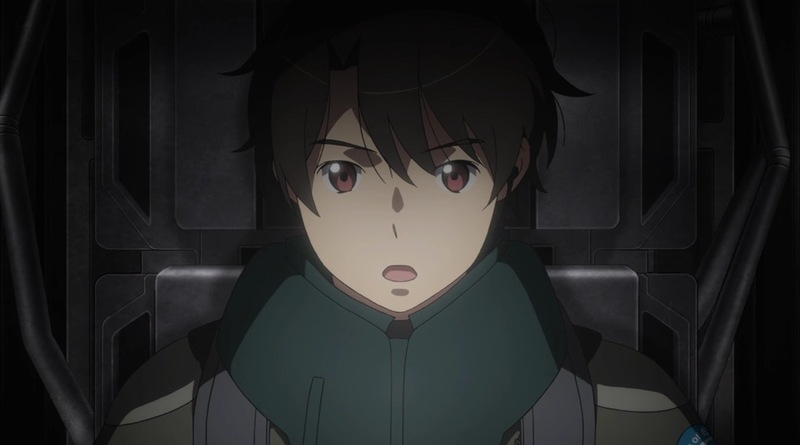 Alternatively, reading into the detail of what Clausewitz wrote, Inaho represents chance because his plays against the Vers knights are about all about creative tactics that are also dependent on chance and probability, whilst Slaine represents rational calculation since he is now using war as an instrument of policy in order to achieve his objective. edit (2015-06-02): I found out recently that there’s a slight mistranslation in the English version of what Clausewitz wrote in German. The sentence is actually “War is the continuation of politics with other means.” The word ‘with’ conveys much more clearly how war is just another tool in the political toolkit, rather than a red line that leaders would not want to cross. 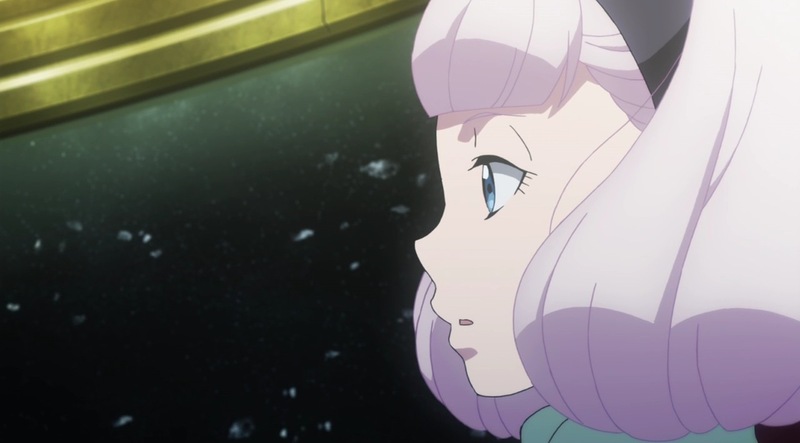 For what it’s worth, the line of dialogue that they gave Inaho in Japanese actually does convey that.